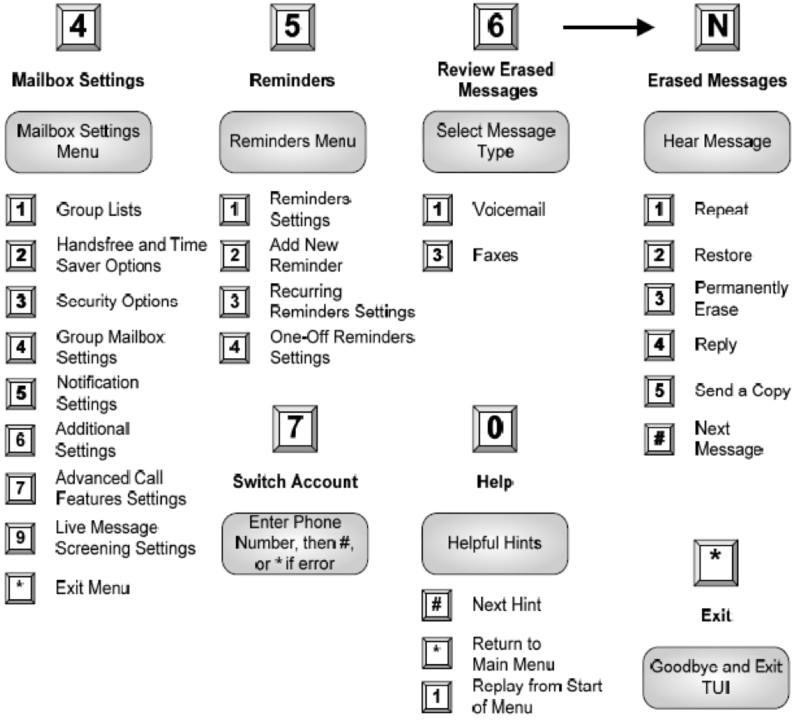 This guide is a quick reference to use for accessing your Voicemail box. 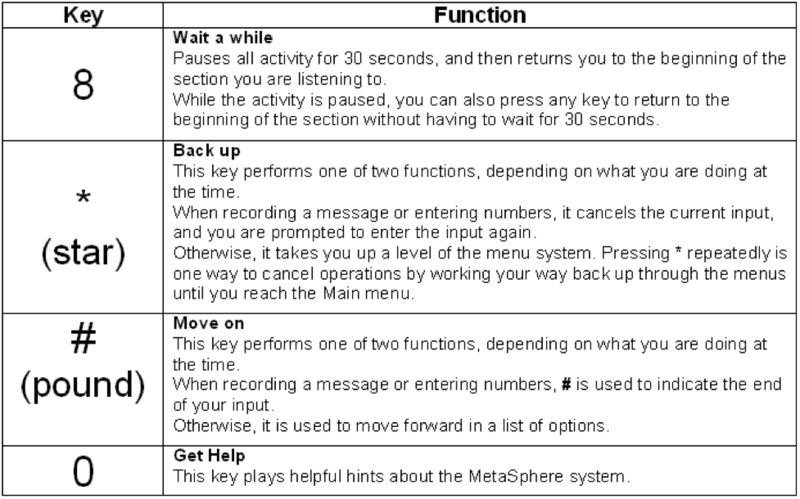 Voicemail Reference Guide - Save or print. You can find information, tips, and instrucstions: here. You can dial *333 from your line as a speed dial to your voicemail box. Or, if you have Pinnacle Hosted PBX service, press the Voicemail button on your phone. You can call any of the numbers below to access the same system. The voicemail system will ask you to setup a pin when you call the access number for the first time from your own phone number. If calling from your own number, like your desk phone, you can opt to not require a PIN to be entered for faster entry. See the SKIP PIN tip at the bottom of the page. 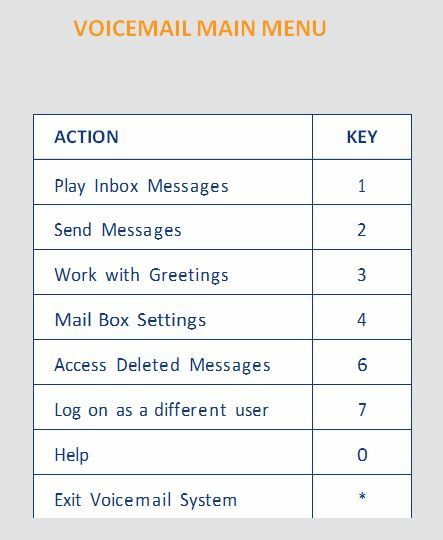 These are best administered by logging into the Portal Website and looking under Settings > Messages> Mailbox, but some can be setup using your telephone and the TUI interface. Allows you to go right into your mailbox without entering a PIN CODE when calling from your own phone. When calling into your voicemail box, your messages will automatically start playing without having to press a prompt. Can choose to play just the recorded message, just the details of the message (phone number that called and the time and date), or both the details and the message. Press 0 to choose this option. Press 2 to use the Skip PIN feature. If your system is set not to use a PIN when calling from your own phone, you hear a message telling you so. If your system is set so that you have to use a PIN when calling from your own phone, you hear a mes sage telling you so. You return to the PIN menu. IMPORTANT: Emailing Voicemails: When setting up to send the voicemail to email addresses (SETTINGS/MESSAGING/SETTINGS/ VOICEMAIL AUTO FORWARDING), it is important to decide if you want to leave the message in the box. If no, then when the email is sent then the voicemail is deleted from the box, which means if you have problems with your email, then the voicemail is lost. If yes, then the message stays in the box until someone goes in and manually deletes, which means that someone will need to go in and clean out the messages every so often to keep the box from filling up. The decision just depends on the importance of the messages versus and the ability to access the box. You can also send “Email Notifications” that you have a voicemail. To do this, go to Settings > Messaging > Email. This will just send an email saying “you have a voicemail”, but will not include the Message. You would then log into your mailbox via the TUI or GUI interface to retrieve the message. By default, a Group Mailbox is setup as a regular mailbox (1 main box), but has the capability of having Sub Mailboxes. A Group Mailbox can have multiple sub-mailboxes, but by default there are 0. The customer can decide how many they need and can change that number as they think is needed. Our Basic Group Box supports up to 5 sub boxes. Our Plus size supports up to 10 sub boxes. One can even turn the Group Mailbox into a single box and back to sub mailboxes, as desired. User needs to create the submailboxes that they will be using (1-9)... This is best done using the GUI (Under the Settings/Group Mailbox), but can also be done using the TUI interface. Passwords for the submailboxes can be assigned by customer in the GUI, to allow each submailbox user direct access to their box. 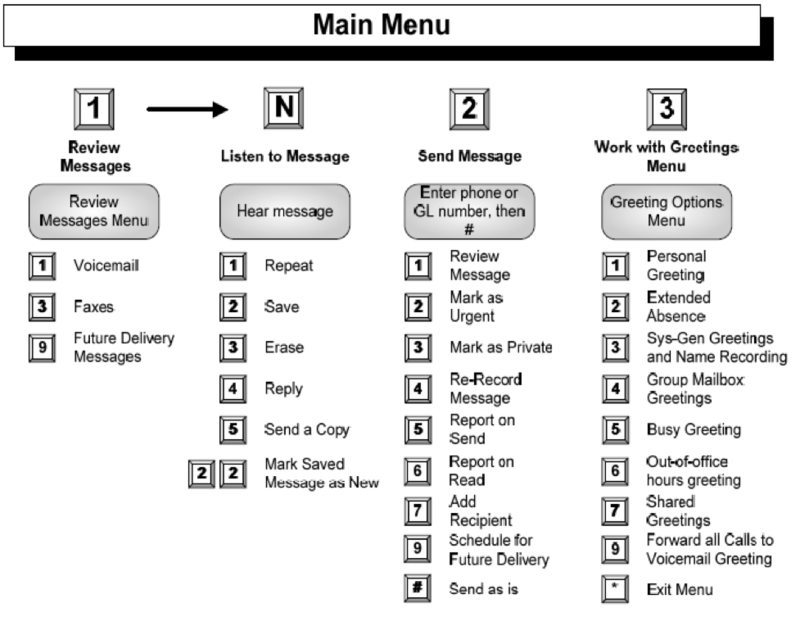 User will need to record the Group Greeting of the main mailbox, not the Personal Greeting, to play a greeting to allow choosing the submailboxes. If submailboxes are turned off, then the Personal Greeting is played, if submailboxes are on, then the Group Greeting is played. When using the GUI to access the submailbox, the UID/TN is in the format of xxxxxxxxxx-mailbox, so 4794940300-1 would be the login of the first submailbox of 4794940300. When using the TUI to access the mailboxes, you will enter the main 10 digit TN xxxxxxxxxx and then you will be prompted for which box (0 thru x). 0 is the main box, 1 thru x are the submailboxes. All passwords/PINS are configurable in the Portal page. Customer can set/change passwords as needed on sub-mailboxes by just logging into the main box via the GUI. Each submailbox user can then access their individual mailbox directly without see what is in the other mailboxes. Account is Locked after 4 consecutive failed login attempts.